The Hundreds is pleased to announce the release of the The Hundreds X Richer Poorer collection. This release is available at The Hundreds’ flagship locations and select authorized stockists today, and will be available through the Online Shop on Tuesday, June 17. 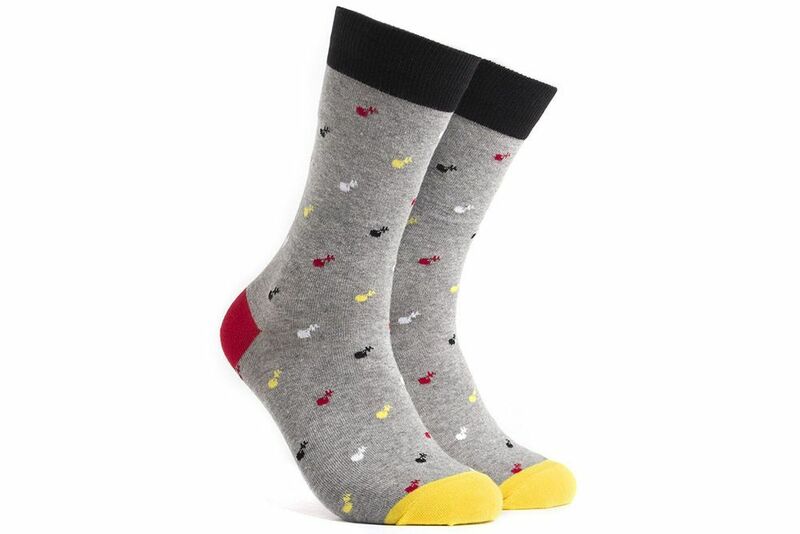 Richer Poorer is a Los Angeles-based manufacturer of high-quality socks and underwear. The menswear-directed label differentiates themselves from the deluge of other socks brands with their unflinching focus on design and innovation. In just three short years, Richer Poorer has become a flourishing business for founders Tim Morse and Iva Pawling, who left behind successful careers in other fields to focus on making socks full-time – a spirit of entrepreneurship that The Hundreds’ own founders Bobby and Ben identify with. The “The Hundreds X Richer Poorer” collection debuts Black boxer briefs and matching Black socks featuring our signature CMYK color scheme in a “Polka Bomb” print. 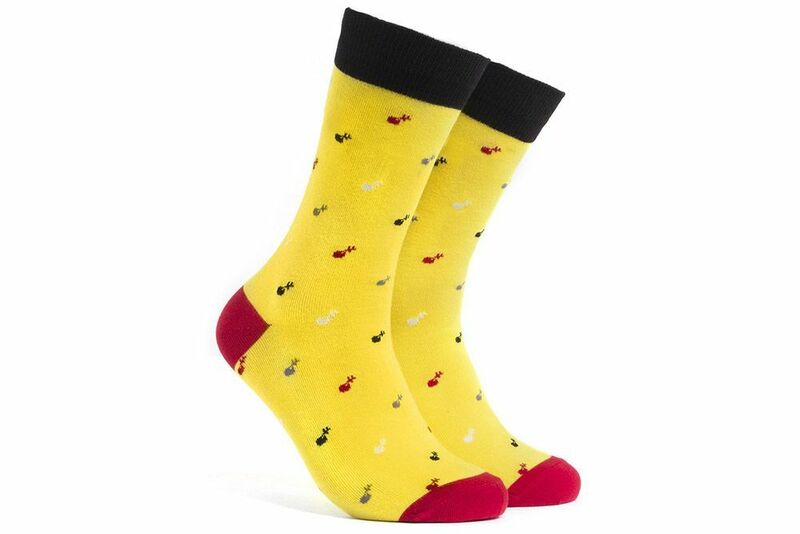 The socks also arrive in Yellow and Athletic Heather with the same “Polka Bomb” pattern.